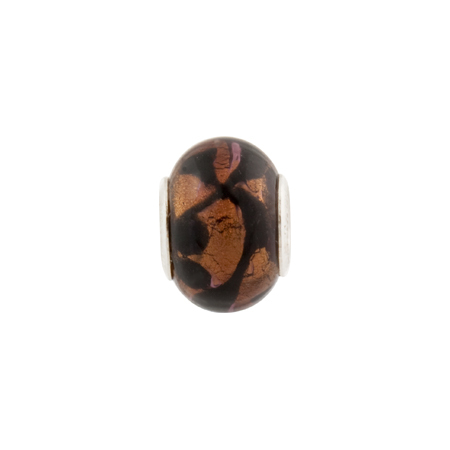 PERLAVITA Rondel Large hole bead with Rhodium plated Sterling Silver insert. This line is known as Scribbles or in Italian, scarabocchio. Great shape approxmately 14x10mm. The hole inside these is approximately 5mm which will fit on popular modular bracelets.